Mumbai is a dazzling city that is fondly referred to as the ‘City of Dreams’. Due to its charm and unique lifestyle, the city witnesses the influx of a lot of travelers from all over the world, throughout the year. This rapid increase in tourism has amplified the demand for good hotels that offer more than just hospitality and discounts to attract guests. In this era of boom in the hospitality sector, one of the most outstanding hotels in Bandra Kurla Complex, Mumbai is the Kohinoor Elite. The property is styled to suit the needs of both the leisure and business travelers. 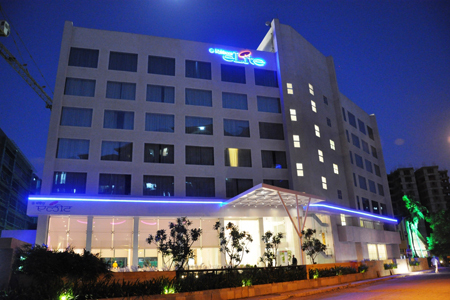 The hotel is in proximity to the airport and provides all kinds of facilities to add value to the guests stay. If required, the hotel also facilitates the business travelers with five well-equipped and ultramodern meeting rooms for their conferences and meets. The guests at the hotel get an option of choosing from two types of rooms, which include, double rooms and twin rooms. These rooms have an elegant decor and are furnished with luxurious amenities to provide the guests the most comfortable and memorable stay in Mumbai. If we talk about the room facilities, the guests are provided with satellite LCD TV, soft bar, tea/coffee maker, direct dial STD/ISD, daily newspaper, and bathroom supplies. Besides, this hotel in BKC has a lavish and wonderful multi-cuisine restaurant that serves an array of delectable cuisines in a one of its kind buffet style. So, if one is looking for a budget hotel in Mumbai that serves luxury, comfort and exuberant hospitality altogether, then Kohinoor Elite is the best destination.